Don’t Forget! You can still win an awesome Gaming PC! There still is a chance to win the ALTERNATE Thunderstorm gaming PC! Don’t miss the chance you have and participate in the Win a PC contest. 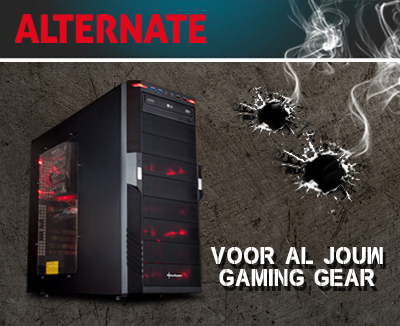 Experience the ultimate gaming adventure together with the gaming machine of ALTERNATE. This monster is geared up with some heavy hardware which is able to withstand all the software that you want to install on the ALTERNATE Thunderstorm gaming PC. Don’t fall of your chair whilst seeing all the hardware in the list below! Yes, this brings gaming to the next level! To have a chance at winning this gaming machine, simply go to our questionnaire!